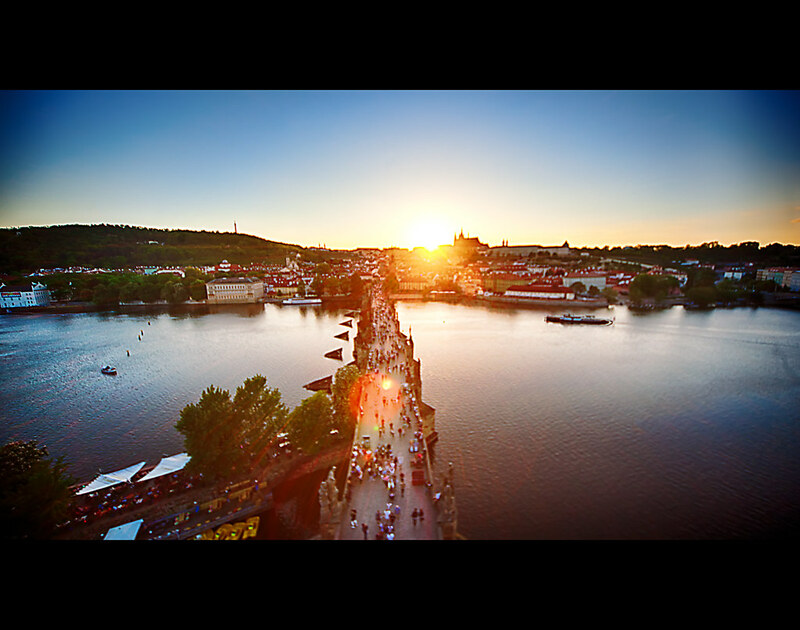 The famous Charles Bridge in Prague, Czech Republic is a very busy place! I was on it just after dawn but even at that time, there were quite a number of people on it, especially a few Asian couples doing wedding / engagement shoots. Seems like the bridge is a popular spot for that kind of thing, especially with the Prague Castle in the background. And it is also very impressive at sunset, especially from the top of the Old Town Bridge Tower, where this picture was taken. 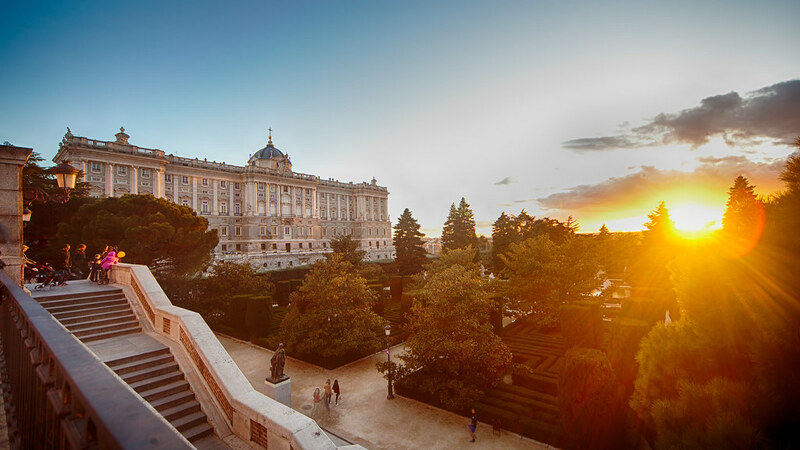 A beautiful and glorious sun sets among the trees of the Sabatini Gardens and casts an orange glow on the impressive Royal Palace of Madrid. 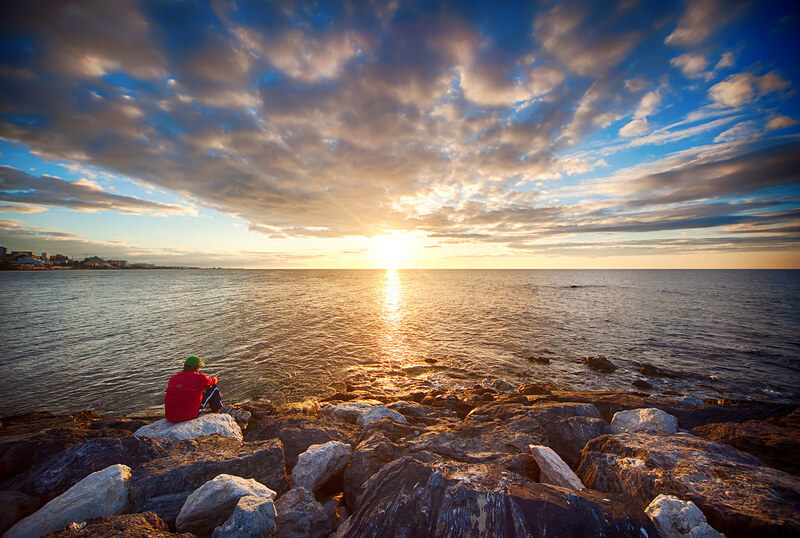 A lone fisherman sits in awe and appreciation of a beautiful sunrise on benalmadena beach in Costa Del Sol, Spain.